Another week in the books and another laundry list of injuries. Players continue to drop like flies in what has been a brutal campaign on the injury front across the NFL. 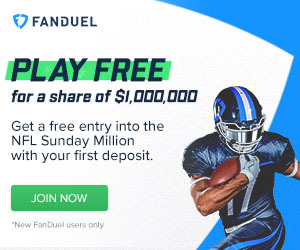 While some key players were able to return to the field in week 11, others couldn't quite make it and will now target week 12. With bye weeks now in the rearview, teams are as healthy as they'll be from here on out, and as the injury report inevitably expands, we'll do our best to keep you up to speed. Here is your week 12 fantasy football injury report. - Cardinals wideout Michael Floyd (hamstring) was inactive for his team's week 11 game. Floyd missed practice all week, and was always considered a long shot to suit up. He should be considered day-to-day ahead of a week 12 matchup with the 49ers. - Falcons RB Devonta Freeman left his team's loss to the Colts in week 11 with a concussion. He was replaced by Tevin Coleman as the team's feature back. Freeman should be monitored closely this week and considered day-to-day at best as he enter's the concussion protocol. Coach Dan Quinn said on Monday that Freeman was "off to a good start" ahead of week 12. - Former Super Bowl MVP Joe Flacco and his Ravens teammate Justin Forsett became Baltimore's latest additions to an injury report which refuses to stop growing. Flacco suffered a torn ACL and MCL in the fourth quarter. He was able to finish the drive as Baltimore defeated he Rams, but will now undergo season-ending surgery in hopes of returning at full-strength in 2016. Forsett broke his arm early in the game and was replaced by Buck Allen and Raheem Mostert. Terrance West should be active for week 12 in Forsett's place. - Panthers wideout Corey Brown missed his team's week 11 game with a shoulder injury. Brown should be considered very questionable for his team's Thanksgiving Day matchup with the Cowboys due to the nature of his injury and the short week. He was limited in Monday's practice. Rookie Devin Funchess stepped up and had a nice day in Brown's place. 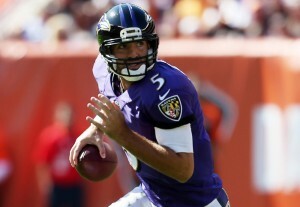 Joe Flacco is done for the year with a knee injury. - Already without Matt Forte in their backfield, the Bears saw Ka'Deem Carey go down with a concussion in their week 11 loss to Denver. With Chicago playing at Green Bay on Thanksgiving night, Carey will be in a race against time to make it through the league's concussion protocol before that game. As for Forte, he could be in line to return against the Packers after practicing last week. Forte should be in a good spot to play and absorb the extra recovery time between weeks 12 and 13. Wideouts Alshon Jeffery (shoulder, groin) and Eddie Royal (knee) will also hope to return in week 12. Both missed the game with Denver which saw Marquess Wilson and Joshua Bellamy rise up the depth chart. - Emmanuel Sanders missed his team's victory over Chicago in week 11 with a finger injury. Sanders had been expected to play all week, but he has also been nursing a couple of other ailments which he suffered earlier in the year, and likely needed a week off. He should be fine for week 12. Meanwhile, it remains to be seen when Peyton Manning (foot, ribs) will return. Brock Osweiler performed admirably in Manning's absence, and it's clear that Peyton could use all the time he needs to get his body right. Coach Gary Kubiak announced on Monday that Osweiler will remain the team's week 12 starter. - Texans QB Brian Hoyer (concussion) missed week 11. T.J. Yates led Houston to a win over the Jets, but Hoyer has cleared the league's head injury protocol and is set to return against the Saints in week 12. Chris Polk (hamstring) missed the game as Alfred Blue and Jonathan Grimes handled the backfield work. - Chiefs RB Charcandrick West left his team's week 11 win over the Chargers with a hamstring injury. The Chiefs know all about injuries to running backs, and West had performed admirably since Jamal Charles was ruled out for the year. Spencer Ware took his place in the lineup and scored. Knile Davis -- a healthy scratch for week 11 -- should be active in week 12. De'Anthony Thomas suffered a head injury early in the game and did not return. - Zach Ertz left the Eagles' week 11 loss to Tampa with a head injury and did not return to the game. His status will be touch-and-go ahead of week 12. Sam Bradford (concussion, shoulder) continues to look iffy for week 12, which would open the door for Mark Sanchez to make another start at quarterback. Bradford is through the league's concussion protocol, but the shoulder may still be an issue. Ryan Mathews (concussion) did not play, and should be considered questionable at best for week 12 until more news emerges on his standing within the league's protocol. Thomas Rawls shined as Marshawn Lynch (abdomen) missed week 11. - Chargers receiver Malcom Floyd still hopes to return this season, though he was ruled out for week 12 against the Chiefs with a shoulder injury. Floyd plans to rehab and play through the pain, but is not yet at a point where he can physically contribute. He should be considered week-to-week. - Marshawn Lynch (abdomen) missed week 11. Seattle was expecting to have Beast Mode available, but his absence opened the door for Thomas Rawls to put on a nice performance. 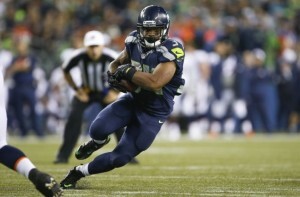 Fred Jackson also saw work in the Seahawks' backfield. As of Monday, Seattle is reportedly not expecting Lynch to play in week 12. Seahawks coach Pete Carroll told reporters that Lynch's injury is "legitimately bothering him." - 49ers quarterback Colin Kaepernick went from the bench to the injured list as he is set to undergo season-ending shoulder surgery this week. Blaine Gabbert will continue to start, and it looks likely that Kaepernick has played his last down in San Francisco. Dylan Thompson has been signed to the active roster in Kaep's place. RB Carlos Hyde remains iffy for week 12 with a foot injury. Shaun Draughn would remain as the starter if Hyde can not return in week 12. As of late last week, Hyde was still not practicing. - Bucs TE Austin Seferian-Jenkins should finally be back in week 12. ASJ has reportedly been very close to playing each of the last three weeks, but the Bucs have chosen to play it extra-safe with their second-year tight end as he recovers from his week 2 shoulder injury. Vincent Jackson returned from his knee injury in week 11 and showed no signs of any setbacks. - Patriots wideout Danny Amendola left his team's week 11 game with a knee injury and did not return. Amendola had slotted in nicely for Julian Edelman (foot), but his status for week 12 is now uncertain. Keshawn Martin (hamstring) was inactive in week 11, but fellow receiver Aaron Dobson (back) was active. Unfortunately, Dobson exited the game with an ankle injury and did not return. Both Dobson and Martin are players to watch following Julian Edelman's foot injury. - Dexter McCluster is likely to miss 2-3 weeks due to an MCL sprain suffered in last Thursday night's loss to the Jaguars. Kendall Wright (knee) expects to return in time for week 12. Wright has not played since week 8. - Redskins RB Alfred Morris exited his team's week 11 game with a rib injury. Morris originally suffered the injury last week, but played after he was able to get in a full week of practice. - On the IDP front, Darrelle Revis (concussion) and Patrick Peterson (ankle) left their respective week 11 games and should be watched closely through the week. will release their initial injury reports on Tuesday, with the rest of the league following suit on Wednesday.